Hello guys! Now we are back to bring newest culinary information to all of you. Soon we will have one restaurant that serving Manadonese Cuisine in Jakarta precisely in Puri Kembangan Jakarta Barat. The name of the restaurant is Redbox or you can call it as Redbox.inc. While it still new so you guys have to stay on this article with us because Redbox Restaurant Puri Kembangan is really worth to visit! Since it become a Manadonese Restaurant so what do you think when you heard about Manado Cuisine? Some of you must be answered spicy! Yes exactly Manadonese cuisine has a tangy and spicy taste. That is why the restaurant is taking red color for Redbox to represent a spiciness. Manado is one of ethnic in Indonesia precisely in the north of Sulawesi and Gorontalo. Manado has a various culinary from land to sea. Manado also well known with their extreme culinary. But they also has various sea food in their dish. Redbox restaurant collaborate with one of Masterchef Indonesia from the first season. There is Agus Sasirangan who create menu for Redbox Jakarta. He create some Manadonese food here and there are 9 menu for you to try! Redbox Restaurant built simple family concept dining place with buffet menu and a la carte. We can see red table and red chair in harmonious with the name of Redbox Restaurant. As the Indonesian way to eat this concept will be comfortable for you to having a dine in experience while enjoying all Manadonese Cuisine here. You will be amazed when you know that Redbox Restaurant is own by one of Indonesian Superstar which has been going international. She is Agnez Mo a multi talented artist with many achievement who made international debut “Coke Bottle” with Missy Elliot. One point that I really appreciate is that she still up Indonesian Culinary for her Food and Beverages project and I love her “Bubur Manado” in this restaurant. Sambal Dabu-Dabu is one of famous sambal in Indonesia and it come from Manado. Sambal Dabu-dabu made from slices of chili and shallot with a hint of lime squeeze. This sambal is perfect when eat with fish, white meat and red meat. Sambal goreng is one of common sambal that we can found in Indonesia. This sambal is used in many food. This scrumptious porridge is a famous Indonesian Culinary from Manado. Bubur Manado is a porridge mixed with vegetable. This savory porridge really match when eat with fried salted fish and sambal roa. This special dish is very famous in Manado. Made from noodle and fish goulash with turmeric and chili. This noodle very rich with seafood taste. The spiciness level still good for Indonesian taste. Redbox Restaurant also serves Mie Pidis with soup. Both noodle and the soup are delicious. Ayam rica-rica use chili, ginger and turmeric. The more spicy the more delicious that the key of ayam rica-rica. Redbox by Agnez Mo has a tender chicken meat with comfortable spiciness level. Ikan woku made from mashed fish with delicious seasoning. This ikan woku become special when cooked with salted egg. Looks delicious? Now I am feel hungry LOL. So let’s take a look to the dessert menu! Apang coe is Manadonese cake, made with flour and brown sugar. The texture is spongy and tender. Not too sweet and addictive. One of the dessert that we found at RedBox.inc is es kacang merah. Red bean ice with chocolate taste but not too heavy. Fresh and not too sweet. Don’t forget to watch the video here! That’s all my culinary story at Redbox by Agnez Mo. I recommend this restaurant for you who loves spicy and Manadonese Cuisines. 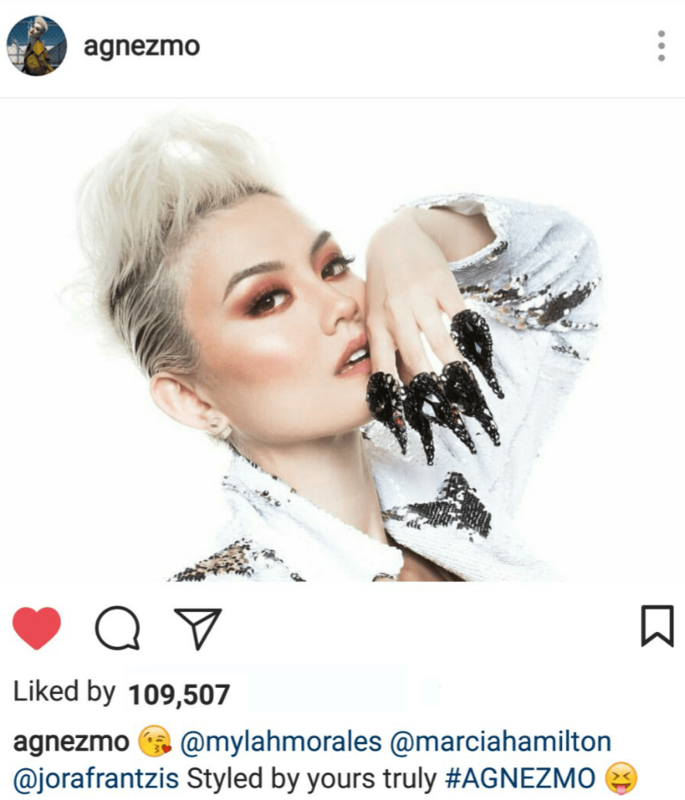 Sssst there will be another Agnez Mo FnB project in the future. Let we say Blackbox for coffee shop and Yellowbox for desserts house. Can’t wait for to make it happen! Don’t forget to come at the grand opening guys. Agnez Mo will perform a cooking demo in Redbox.inc so don’t miss it! Here is the detail! Finnaly I close my review in this article and I apologize if there is an error in my writing. See you in another culinary story with Jajanbeken!